Looking for the home that truly has it all? Look no further! Tucked away in the trees, this stunning custom built home features 3 bedrooms, 3 baths, and is situated on 11 acres in a very desirable location in Milam County. Home was built in 2002, approximately 2900Sf of living space, towering ceilings, large fireplace, custom mesquite cabinets, double oven, gas cooktop, large pantry, tons of storage, large rooms and closets. 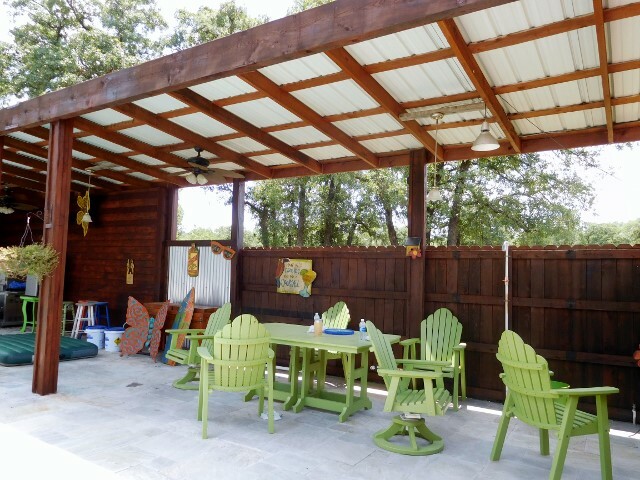 Property also features several outbuildings including one that is large enough for a RV, a beautiful built in pool with guest cottage that features a bedroom, ½ bath & hot tub. Amazing outdoor area that is perfect for entertaining or relaxing in your own private oasis! Property is perimeter fenced and has pipe fencing along front and side with 2 gated entrances, security system already in place! What a beauty…..one owner, well maintained and is move in ready!